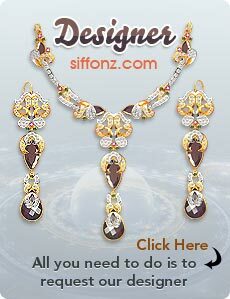 Siffonz.com is an online store for Pakistani Womens Dresses and Jewellery. Siffonz has a large collection of Pakistani Womens Shalwar Kameez, Anarkali Pishwaz, Kurta, Saree and Pakistani Jewellery Designs. You can buy Beautiful Pakistani Womens dresses and Jewellery with ease. We have one of the finest karigers who make best quality Dresses and Jewellery for our clients. In Jewelry, we offer you Pakistani Gold Jewellery designs which are made using 925 Sterling Silver instead of 22 Carat Gold. Then Gold and Rhodium plating is done in order to make the final looks similar to Gold Jewellery. So the final product looks like Real Gold Jewellery, but at the price which is affordable by just anyone. We deliver our products using DHL/FEDEX courier service all over the world. We also offer Custom Dresses and Jewellery Designs. 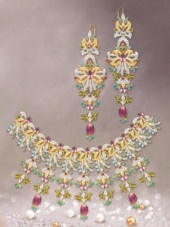 If you like any Dress or Jewellery design from any Magazine or Website, just contact us through email and send us a clear picture of the design or send us the link of any website displaying the design and we shall do our level best to offer you the Dress or Jewellery design at a much lower price as compared to the price quoted by other websites.